Snow Quartz is absolutely ideal for purification ceremonies or cleansing routines, perhaps moving into a new home for example. Snow Quartz is often thought to be beneficial for the immune system. Snow Quartz helps us to feel more pure, and indeed, is sometimes used in purification ceremonies. It is a bringer of good fortune, peace and wisdom. Snow Quartz stimulates a love for the truth and fosters clarity of mind. It enhances our personal levels of tact and co-operation and can help us to think before we speak. Snow Quartz can help us to identify with the infinite. It brings us closer to our own God or Gods and helps us to become more spiritually minded. 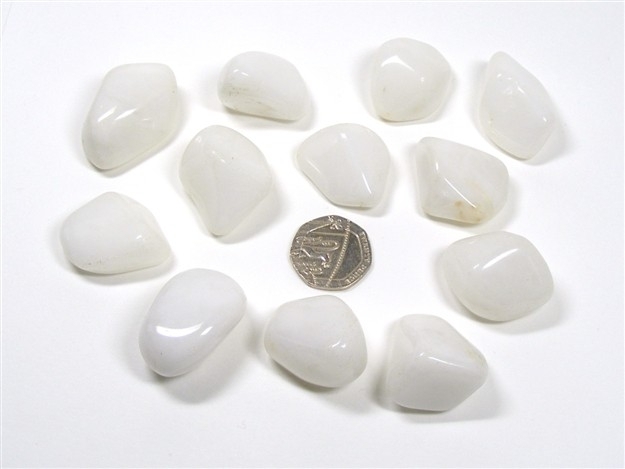 It is a very good stone for meditation and looking within and can also help us to develop our psychic abilities.